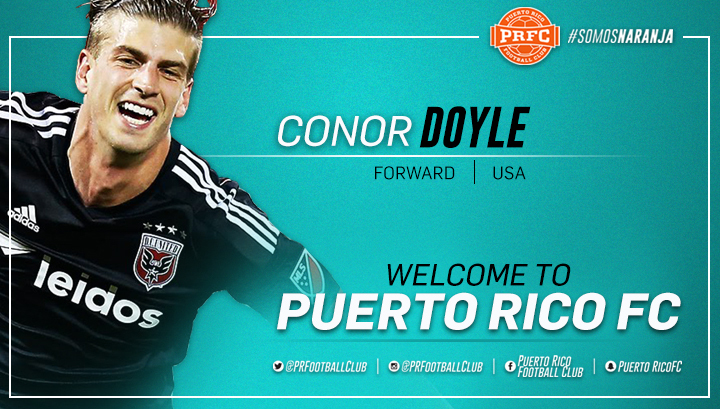 San Juan, Puerto Rico- Puerto Rico FC is excited to announce one of its first two new signings of the 2017 season: forward Conor Doyle. Doyle is an exciting signing for PRFC and a player who brings English Championship as well as MLS experience with him. The 25-year-old forward has experience at the International level also, having first made appearances for Ireland’s U21 squad before reverting to the USA for whom he made six U20 appearances, scoring 4 goals in the process. It’s that attacking instinct that attracted Derby County to give Conor his first professional contract. He made 22 appearances and gained valuable experience there before being loaned to DC United, a move that was made permanent in 2014. He went on to play 56 games for United before being traded in 2016 to the Colorado Rapids. 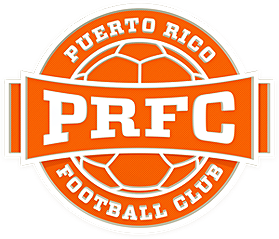 PRFC’s 2017 season kicks-off March 25th at Juan Ramón Loubriel Stadium. Get your season tickets now and be a part of the Puerto Rico FC family. Season tickets start at $128, which gives fans access to exclusive events with players, discounts at the team store and much more. Taxes and fees apply. Call 787-722-PRFC to learn more about these amazing benefits or visit puertoricofc.com/tickets.